Oscar-winning star Eddie Redmayne has hailed J. K. Rowling, describing her as "extraordinary"
Eddie Redmayne thinks J. K. Rowling is "extraordinary". 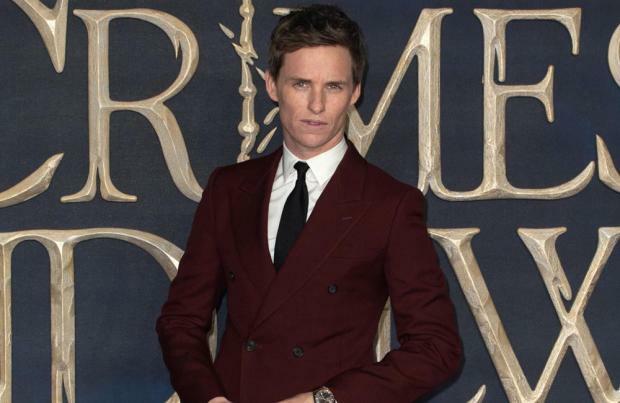 The Academy Award-winning actor stars as Newt Scamander in the 'Fantastic Beasts' film series, and Eddie has revealed he was happy to see the franchise extended from three films into five because he has so much faith in the world-famous author. He explained: "It was the first [franchise] that I'd done. And I was lucky enough before to be cast as Newt, to have read the first film. So I knew what I was getting into. "But you do put a huge amount of your future years and work experience, and work ethic in someone else's hands. But what was wonderful for me was, if you're gonna invest in a creative, there is no one as extraordinary, imagination wise, as Jo. And so, it's been pretty thrilling." And despite being one of the movie industry's most in-demand stars, Eddie has been kept in the dark about the future of the franchise. The 36-year-old star is a self-confessed "control freak" and he's desperate to know what the future holds for his on-screen character. "There are things we know from the books, we know that Newt's great grandson marries Luna Lovegood. So there are some snippets that we know, but we don't know how on earth we get there. "And because I'm a control freak, part of me is desperate to know, and the other part of me has quite loved just, like, rescinding all that."